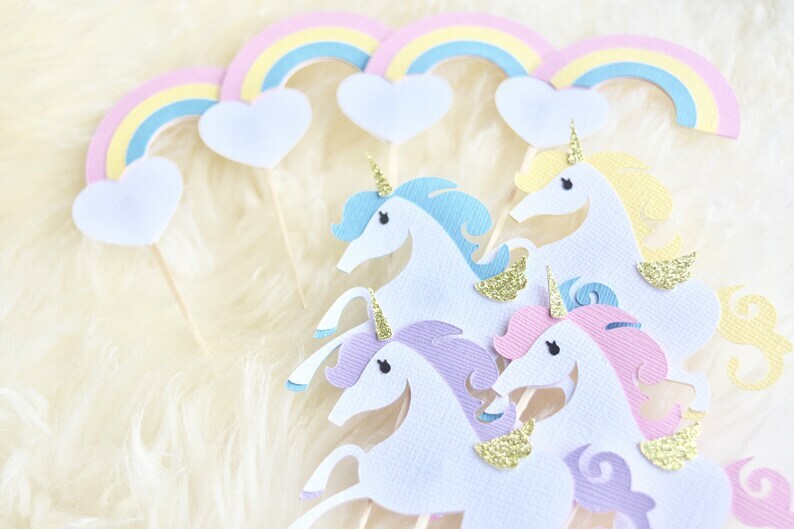 High quality Cupcake toppers (with Toothpick), these are made with two layers card stock with toothpick sandwiched in between, and gold glitter paper for the horn and wing. This listing includes 2 of each of the 4 colors and 4 rainbow to complete the set of 12. You can let me know at check out if you'd like to stick to one color for the unicorns. NOTE: check shop announcements for any important news about shipping or processing time. Thank you!